"Fast charging is used mostly in the afternoon, and more during weekends than weekdays"
A good way to understand the impact that EVs will have on utilities is to look at the experience abroad. Norway currently has the highest EV penetration in the world, with 42 per cent of all new car sales now electric (split into 22 per cent BEV and 20 per cent PHEV); in this regard it is far more advanced than other countries. 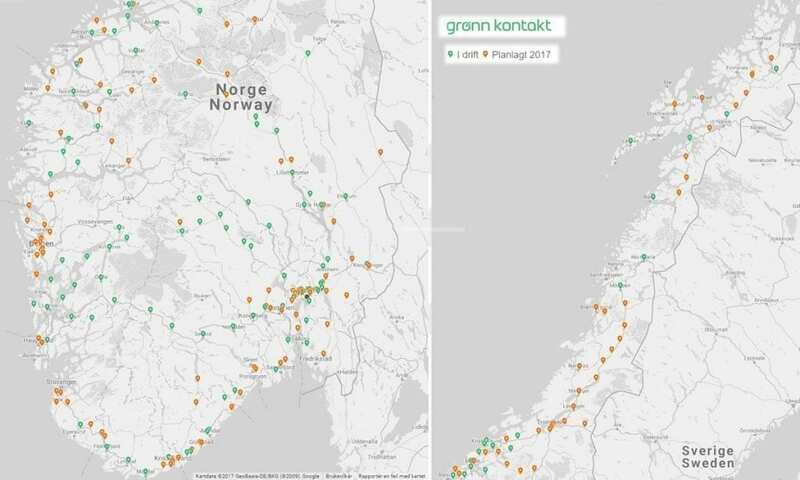 In 2017, Pöyry’s Oslo office analysed charging patterns for the two major commercial operators of fast charging stations in Norway, Fortum and Grønn kontakt (Green plug). The data included all individual charges in 350 of Grønn Kontakt’s 50kW fast charging points with anonymous data for almost 285,000 charges. 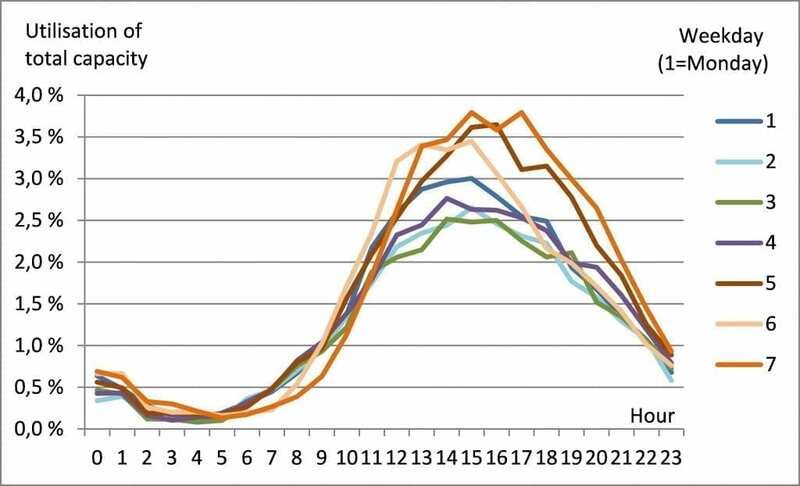 The analysis reveals interesting patterns as to when and how fast charging stations are used. While the capacity of charging stations is 50kW, the average charging power per charge is significantly less – approximately 30kWh/h. Utilisation of the fast charging stations was very low; the data shows utilisation of 250 hours or up to 4 per cent of installed, maximum capacity. Fast charging is used mostly in the afternoon, and more during weekends than weekdays. 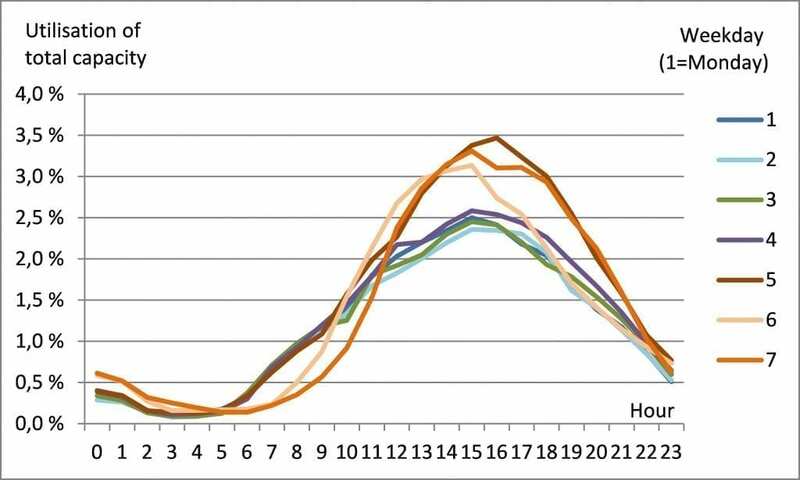 The average, daily pattern for the year shows a distinct peak between noon and 7pm. 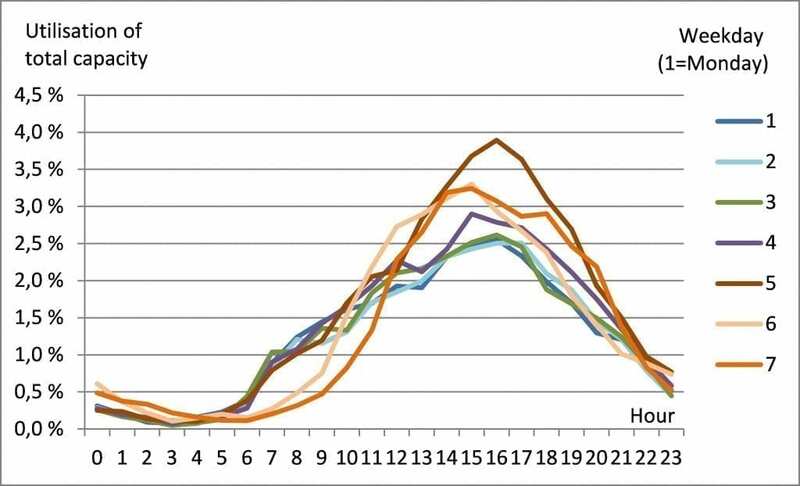 There is a distinct difference between weekdays; the weekend peak is almost 40 per cent higher than on other weekdays. 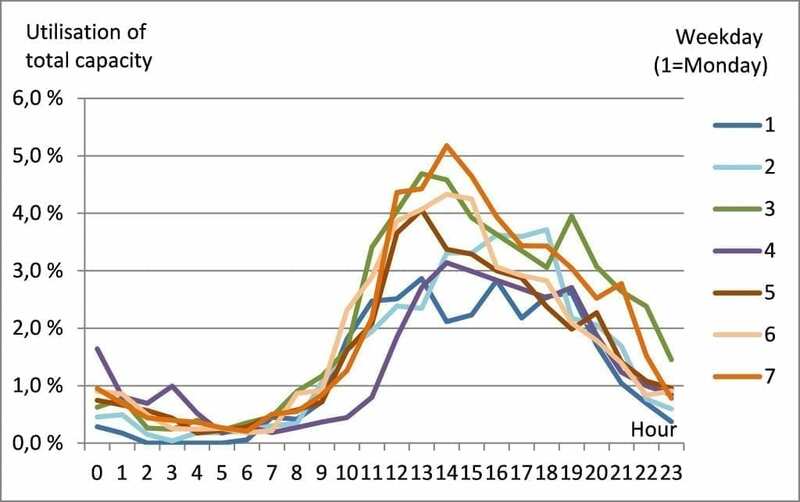 The weekend peak is most likely caused by travel to holiday homes (which are popular in Norway). There is also a distinct difference between seasons. In general, fast charging stations have a higher utilisation in winter than in summer – most likely because of reduced battery performance at low temperatures. The Easter holiday is when Norwegians travel to their mountain cottages to enjoy the last remaining snow of the winter. In 2017, the annual peak demand for fast charging was on Sunday (Easter day) with more than 5 per cent of total capacity being used in hour 14. We can see fascinating patterns of consumer behavior from this charging data and this data has value in many applications – from optimising the network to knowing when to push certain products in associated retail stores. We can also conclude that the vast majority of charging is not done via fast-charging in Norway. In countries where fast-charging networks are to be built we might ask what is the commercial model for the fast charging network? We know that range anxiety needs to be overcome with the security of a fast-charging network – but it seems unlikely that fast-charging stations will pay their way – unless, despite low utilisation, the captive retail opportunities are significant. Should it be utilities keen to sell electricity or car companies keen to sell their EVs that are investing – or perhaps it is better treated as a regulated asset to ensure the long-term viability of fast-charging. Battery Electric Vehicles: a network problem or a network asset?